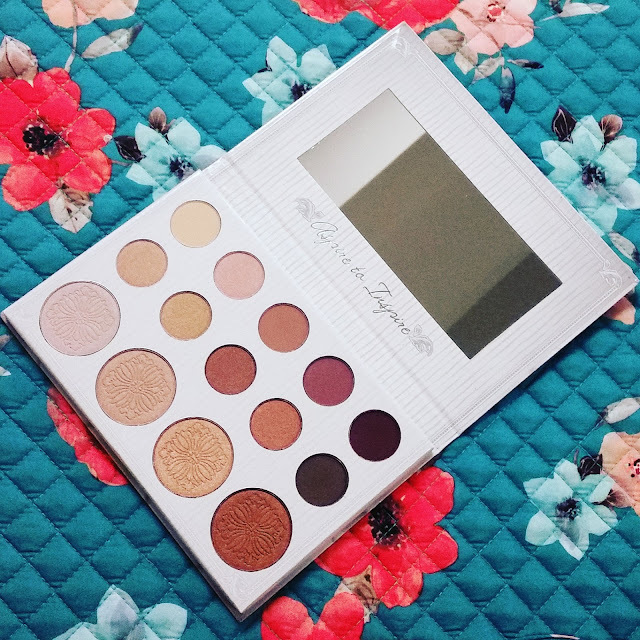 Today’s post is going to be a review and swatch of the Carli Bybel Eyeshadow and Highlighter Palette. 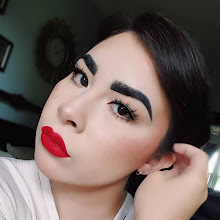 This was a collaboration piece between Youtuber, Carli Bybel, and BH Cosmetics, which is an indie brand with good quality products at affordable prices. To learn more about the Carli Bybel and BH Cosmetics collaboration makeup palette, then read this article. 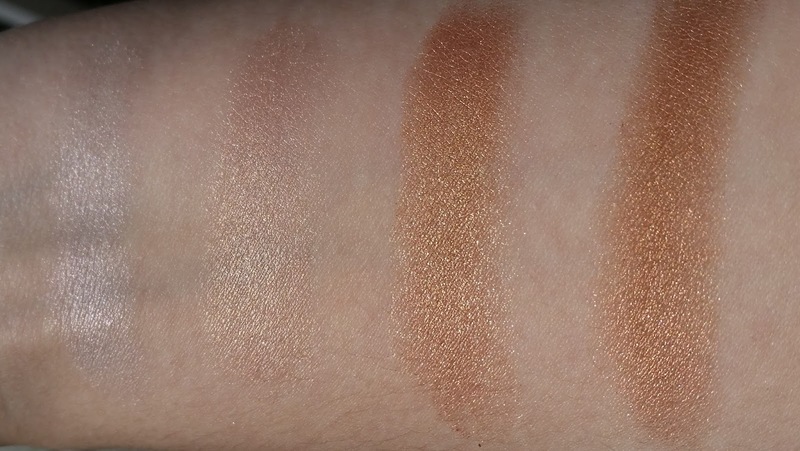 Today’s post is going to be a review and swatch of the Carli Bybel Eyeshadow and Highlighter Palette. This was a collaboration piece between Youtuber, Carli Bybel, and BH Cosmetics, which is a brand with good quality products at affordable prices. This normally would not be a palette that I’d be interested in, but I’ve been eyeing this palette for quite awhile. So when they were having a sale, I bought it in addition to some other items that I might show later. This palette contains ten eyeshadows and four highlighter shades that are all crazy pigmented with a buttery texture. The choice and selection of these eyeshadows are pretty versatile and there’s a highlight shade for every skin tone. For eyeshadow, you’re getting a good mixture of matte and shimmer shades - almost half and half. 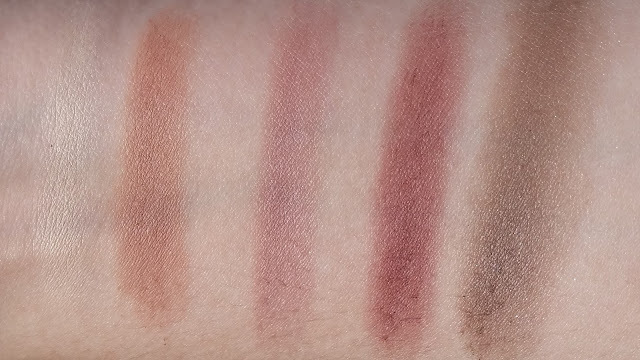 Swatches of matte shades from Carli Bybel Palette. For mattes, you’re getting some of your basic eye shades: a light yellow that’s great as an all-over base and a brown transition shade for the crease. In addition, you're getting a mid-tone mauve-pink, a maroon red shade, and an olive green. The olive green is kind of the odd one though because it swatches brown. Also, I thought it was matte at first, but when I swatched it outside, it turned out that it had a sparkle to it. But I feel like once you blend it out and add other shades, it’ll disperse and won’t be as noticeable. The shimmer shades are basically a slightly expanded range of the highlighter shades in this palette, so if you ran out of one or the other, you can dip into another part of the palette for a similar color. Starting on the top row from left to right, you’re getting five shimmer shades in Pink Champagne, Gold Champagne, Gold, Bronze, and Copper. 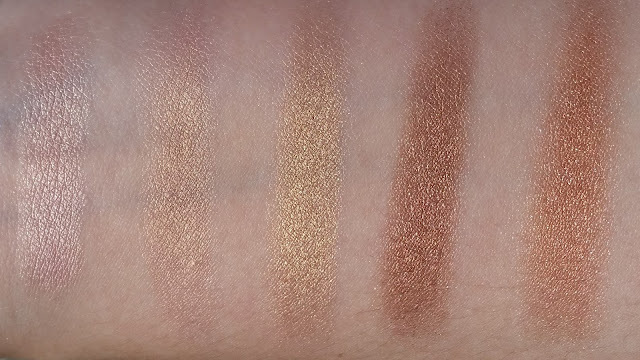 Swatches of shimmer shades from Carli Bybel Palette. I wasn’t too fond of getting this many shimmer shades in the palette because I tend to keep towards eye looks that are very matte because of my hooded lids. Lately, I have been getting into the more shimmery, metallic makeup because I’m constantly finding all these crazy colors. I’ve recently used the pink champagne shade in a makeup look where I did (or at least tried to do) a halo eye. It’s a lot more toned down than from what I’m used to, but it was so pretty and easy to do because the shadows blend so nicely. And the last thing in the palette are the four highlighter shades, which was kind of the primary reason I bought it because I love highlighters. There’s a shade in here for every skin tone, so if the darker or the lighter shades don’t work for you, you can use it for eyeshadow. From left to right, you’re getting: Pale Pink (looks white when swatched), Gold Champagne, Gold, and Coppery-Bronze. Swatches of highlighter shades from Carli Bybel Palette. They’re really nice shades. However, the lightest shade doesn't appear to be all that intense when applied to MY face. I'm very accustomed to very dramatic-looking highlight so it may look more subtle to me, but not to someone else. I find that pink-toned highlighters tend to be more subtle because they look more 'skin-like' versus stark white. It's still a good-looking highlight so I'm still going to use it regardless. The most dramatic is definitely the gold, which is too dark for me to use a highlighter. I can use it as eyeshadow and a pop of shimmer on the lip, but that’s really it for me. If you have a medium (or deeper) complexion, it’ll suit you just fine. Overall, this is an amazing quality palette that’s pretty versatile in the variety of looks you could do from daytime to nighttime. I can see some looks for fall coming out of this palette with the maroon and that olive green shade. Personally, I wouldn’t get much use out of this palette because I like some color, but I know a lot of others will.